A good deal of success in math is simply about careful detail management. If you are, by nature, someone already comfortable with math, highly organized and detail oriented, probably none of these mistakes will plague your work. This is a post for folks who may be a little rusty in math, and need to be a little more careful with the basic work of detail management. Actually, if you notice any tendency toward making this mistake, I highly recommend: make your first step to add any subtracted variable to other side, to make it positive. If your first step, automatically, is to make the variable positive, then you will be considerably less likely to make this mistake. When read left-to-right, it is called distributing: we distribute A over (B + C). When this same equation is read right-to-left, it is called “factoring out.” See this post for a more extended panegyric to the Distributive Law, in a more advanced context. That equation is 100% true, 100% of the time. In words, we can say: multiplication distributes over addition and subtraction. It’s one of the most fundamental laws in all of mathematics. That pattern is very important, and has a wide variety of applications in elementary and advanced mathematics. For some reason, though, this pregnant pattern is ripe for vast over-generalization. The mind seems almost magnetically drawn to distributing all kind of things other than multiplication over addition and subtraction. From there, you would FOIL out the expression. That’s the step-by-step way to get to the answer. It can be a very handy shortcut to have the following two patterns memorized. Those formulas take into account the proper FOILing. Memorizing these can be a time-saving shortcut and also might help you to remember to avoid Mistake #3 here. This is another mistake of the “over-extend the Distributive Law to regions that are not valid” variety. Here is the succinct way to express this mistake. … what can you cancel? NOTHING! If the 12 were over just the 3x, or if the 12 were just over the 8, then you would be able to cancel, but because you can’t separate the fraction, you can do absolutely no canceling. BTW, in the fraction …. Another related mistake. Suppose we have to solve the following equation. While it’s true in general that you can take the reciprocal of both sides, unfortunately, you can only take the reciprocal of a single number or a single fraction, NOT a sum or difference of fractions. The reciprocal of a sum is not the sum of the reciprocals. How do you find the reciprocal of a sum? You would have to add the two fractions, using a common denominator, combining them into a single fraction. Here, by far the easiest solution would be to begin by subtracting 1/48 from both sides, and performing the fraction subtraction on the left side, so that you have a single fraction equals 1/x. Then, you would legitimately be allowed to take the reciprocal of both sides to solve. You cannot separate a square-root by addition or subtraction. You can separate a root by multiplication or division: see this post for more on that. You can see more about roots in general here. , because it is absolutely illegal to simplify that to a + b = c.
In fact, whereas the former is true for the three side of every right triangle, the latter is not true for the three sides of any triangle. In fact, it constitutes a blatant violation of the Triangle Inequality, a law that is true for every possible triangle. 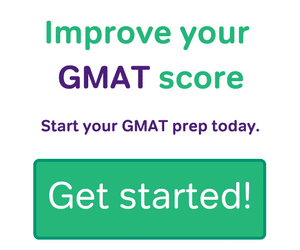 These are very common mistakes, and GMAT questions are often designed to elicit falling into one of these mistakes. If you can simply learn and avoid these five mistakes, then you will avoid the common traps to which so many GMAT takers will readily succumb.